I am so happy with the potential outcome for this bike. Considering the state I got it in, giving up on it because everything was seized and almost throwing it away, I think it’s turned into a beautiful bit of kit. So what’s changed? Well the colour for a start! I decided to ditch the old metalic blue and go for a classy black number. 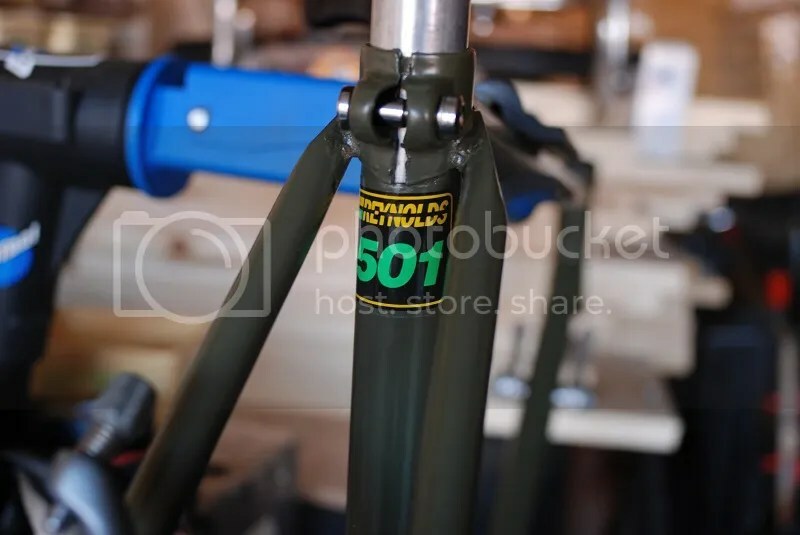 It might not be the right choice of colour for a winter bike but style sometimes comes at a cost… I found some new Reynolds forks in the same style and set about stripping the paint… only… I couldn’t. The original paint was so tough that a good few coats of Nitromors barely even touched the surface. Sanding was an option but being impatient I decided to take a trip to the powdercoaters and get it sand blasted. My aim was to spray the bike. It would be cheap and easy but would it last? No. It had to be powdercoated. Black was still on my mind however something else caught my eye…. MOD Green! The finish, the colour, just wow. I love it. Digging through my drawers I managed to find some of the original parts for the bike. I still had the old handlebars, bottle cage and brake levers so I was going to need a lot more components to complete the build. 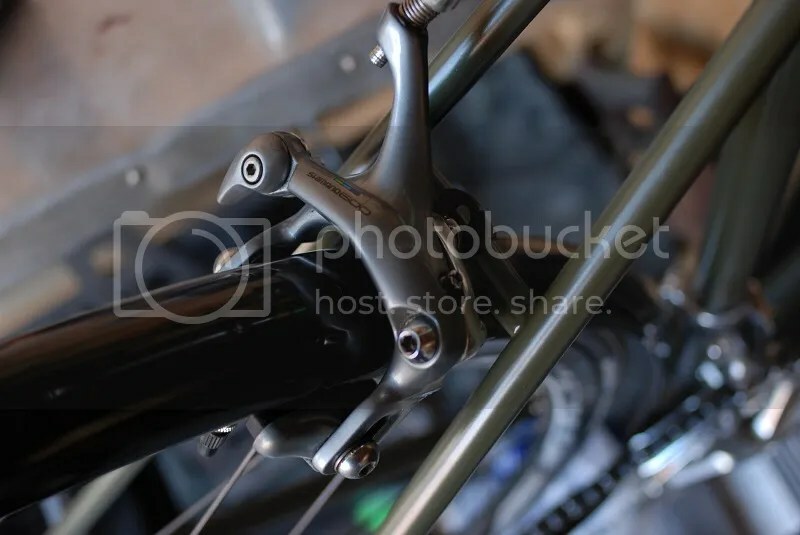 Groupset: Shimano 600 (Ultegra) I set about searching eBay for parts, mainly looking for a modern STi groupset but also keeping my eye out for older sets. 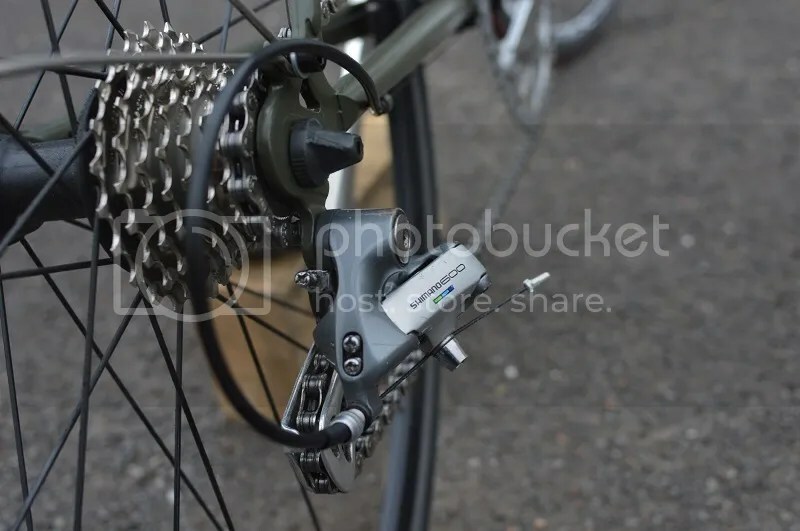 I really don’t like downtube friction shifters and I really did have my heart set on a shiney new set however at £70, I couldn’t turn down this set. It looks almost brand new! 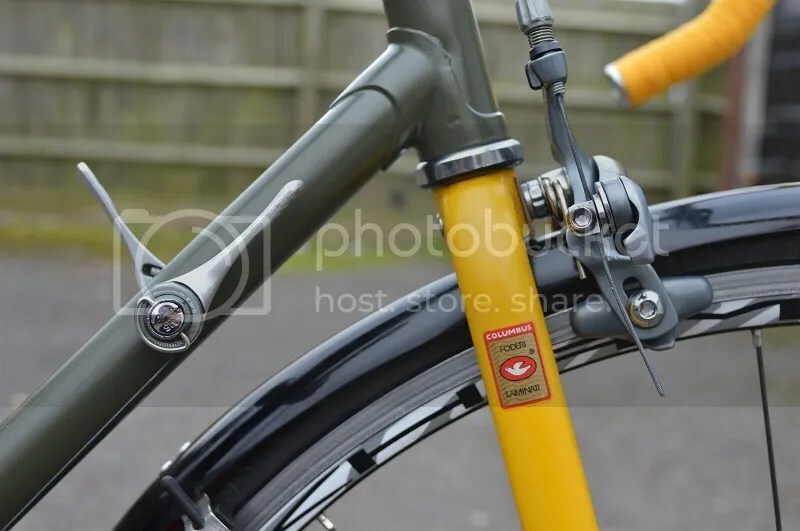 Nearly all the decals remain and the only imperfection is the shiny scuff on the drive side crank arm. 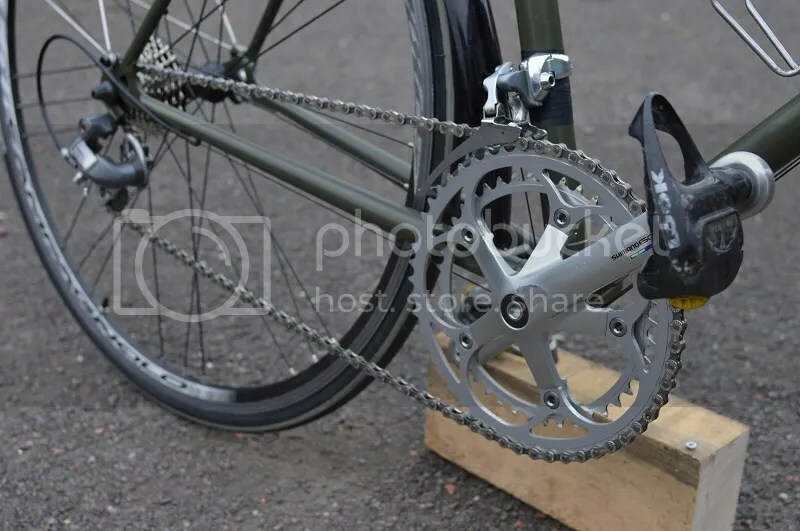 What’s even better is the downtube shifters are indexed for the rear derailleur so there shouldn’t be any more guess work in shifting. Everything fits the frame perfectly. 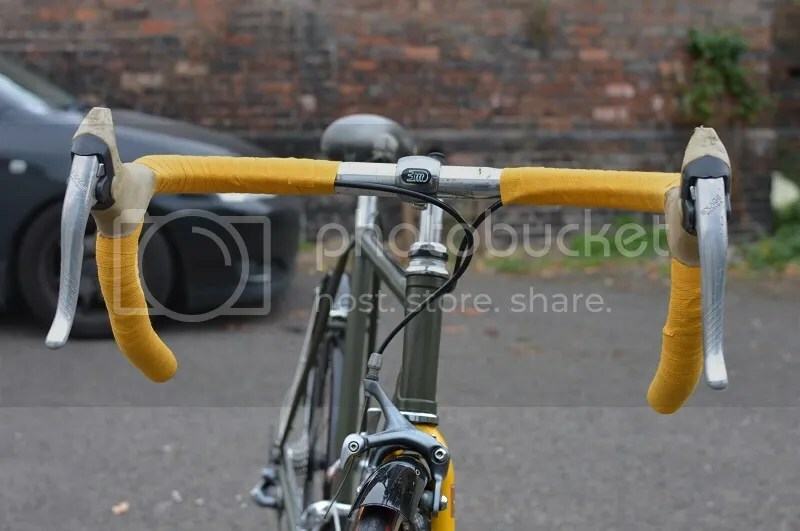 Handlebars & Stem: I decided to look back over the old photos for this one. 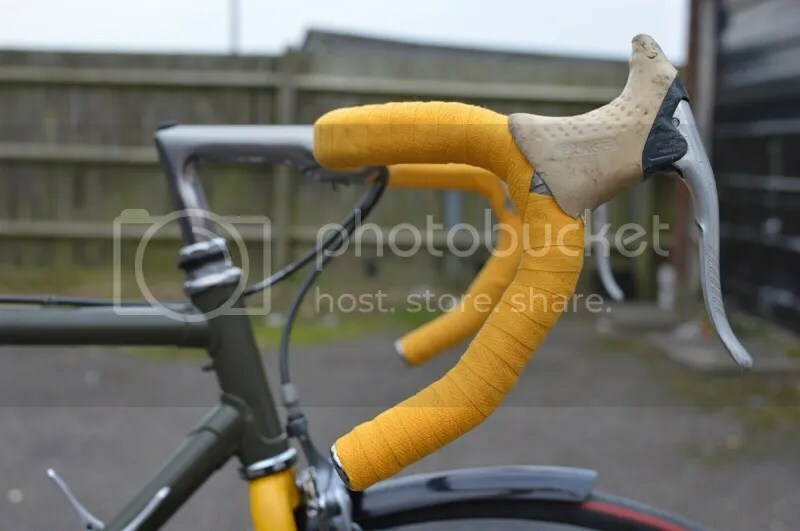 I wanted something close to the original in terms of the stem but back then, I really didn’t know much about parts. As soon as I glanced at one photo I recognised a badge. Zooming in, I was certain. The stem I’d snapped off was a 3TTT stem! Doh! 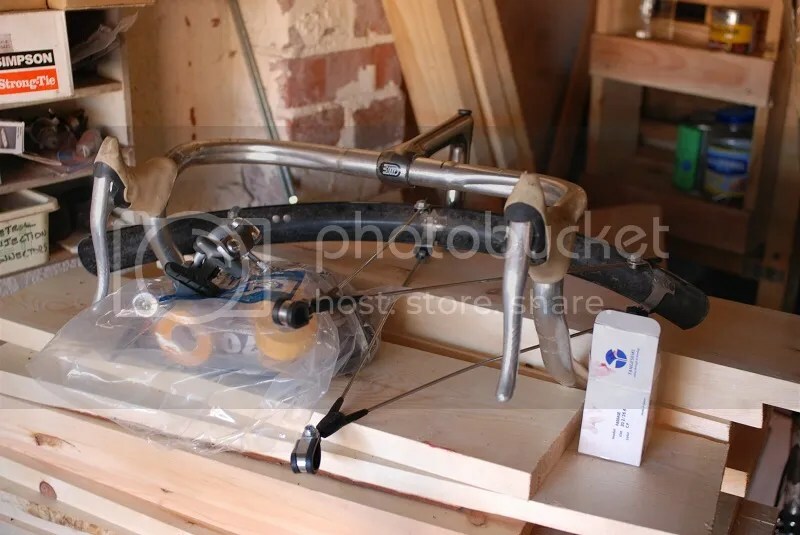 I ran a Google image search which brought up some early 90’s catalogues which confirmed my thoughts but also revealed the identity to the weird shaped bars. The stem I needed was a 3TTT “Record” and the bars I have are 3TTT “Forma” bars. 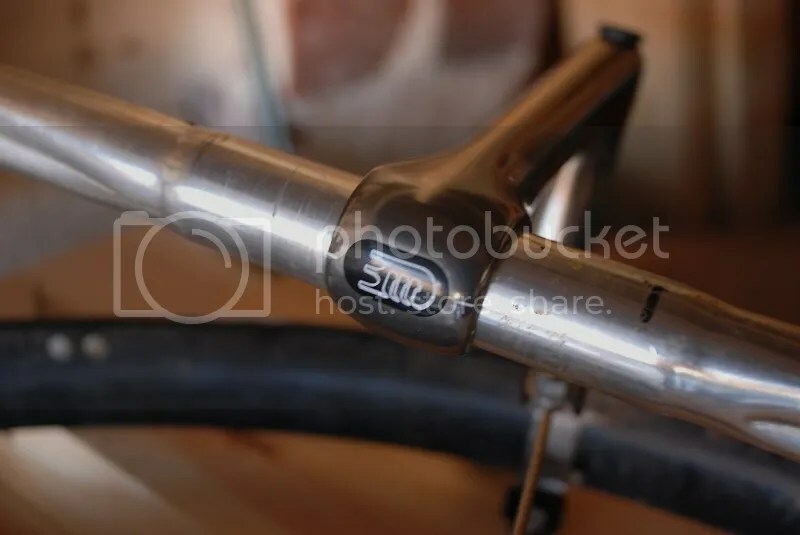 I looked through eBay and found a few high priced stems but at £80 a pop I was put off, until fortunately, I found a NOS “Record” stem at just £25. Pedals: I’ve given the old Look pedals a good clean and they seem to work still despite the paint flaking off. 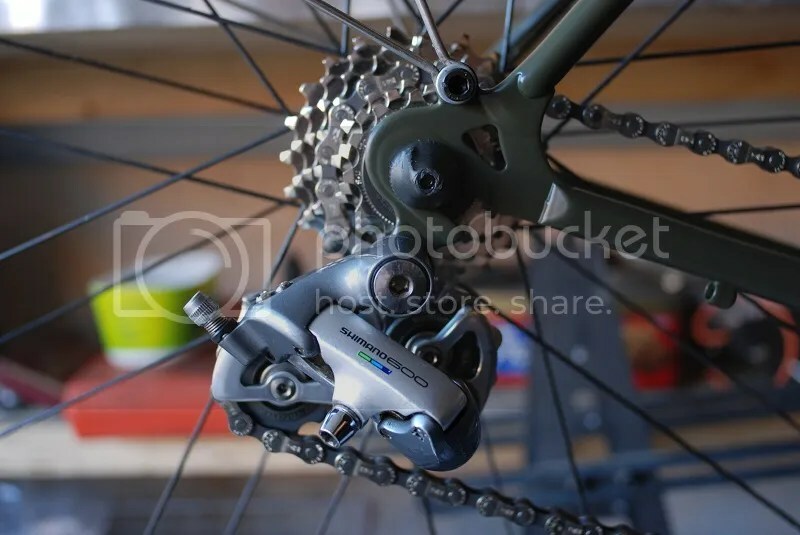 I’m going to give them a go and if they don’t work out I’ll buy some Shimano SPDs. 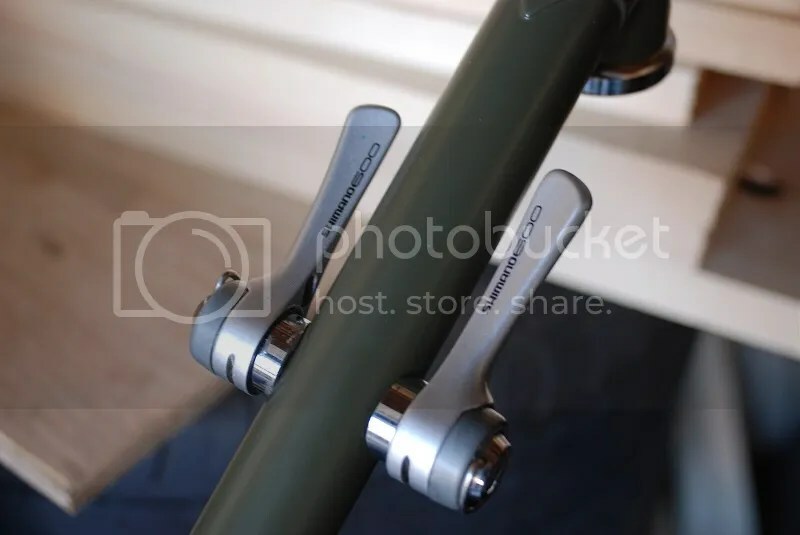 Seat & Seatpost: What I really want is another Brooks saddle! 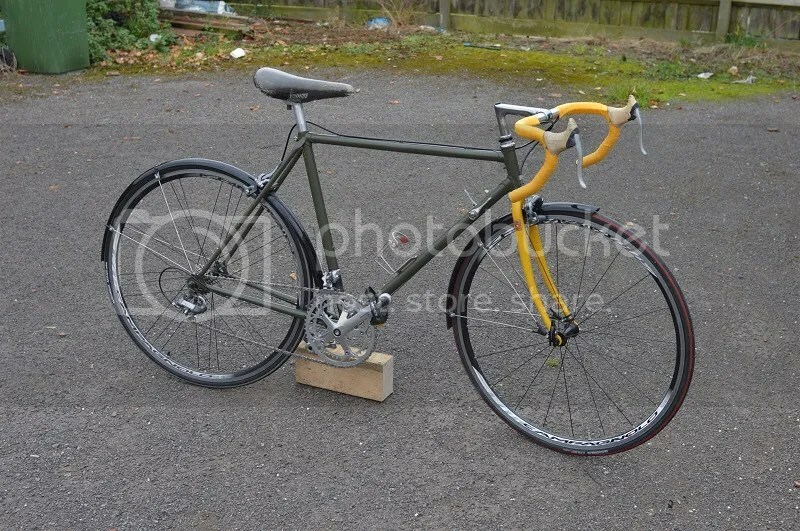 The reality is I’m spending too much money so for now I’ve settled for the old mountain bike saddle I had on the fixie. 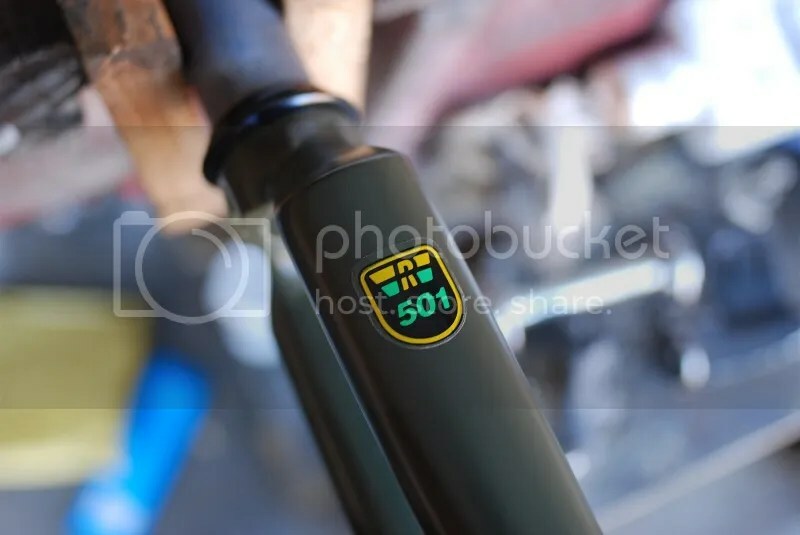 The seatpost I went for, one of the cheaper used items on eBay (£15), is also an old mountain bike model. It was in a right state when I got it. The alloy was scratched, dull and embedded with dirt but hours of polishing with the Dremel has brought the shine back. 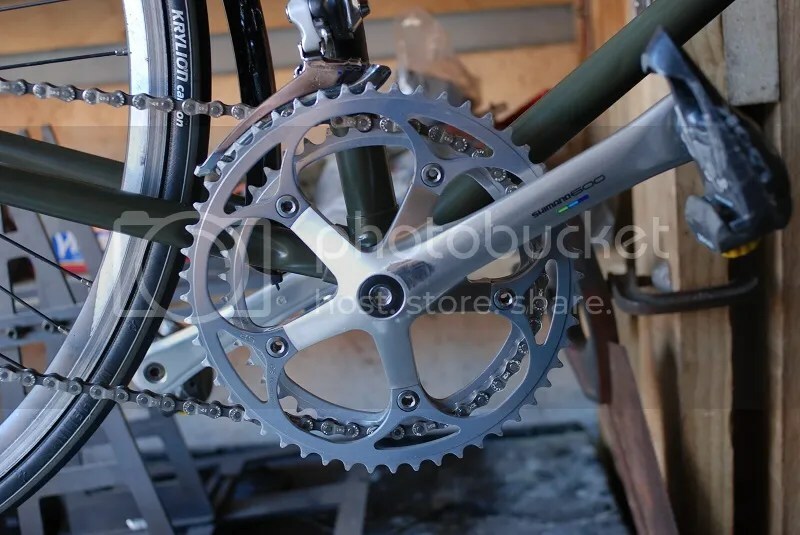 It fits perfectly into the seat tube now with a brand new stainless clamp bolt. 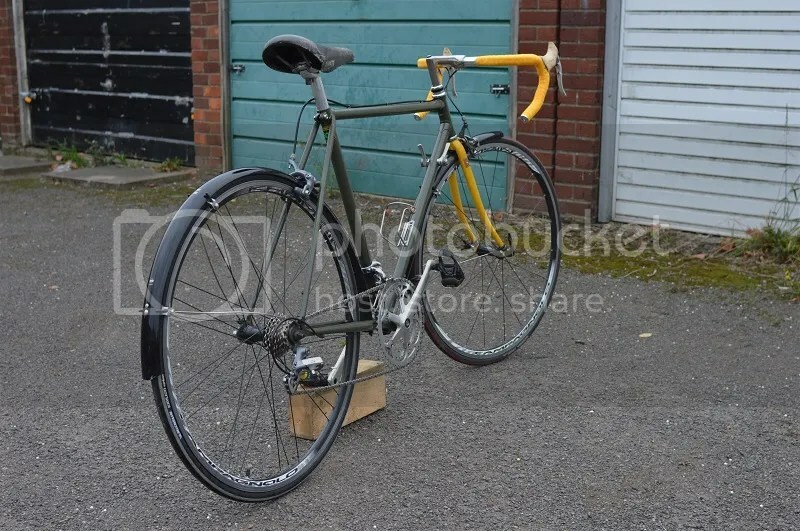 Wheels: Well I already said I had the Mavic wheelset, and I did buy a spare hub to rebuild the rear hub and a new set of Shimano skewers but what I’ve actually ended up fitting is a Campagnolo wheelset. 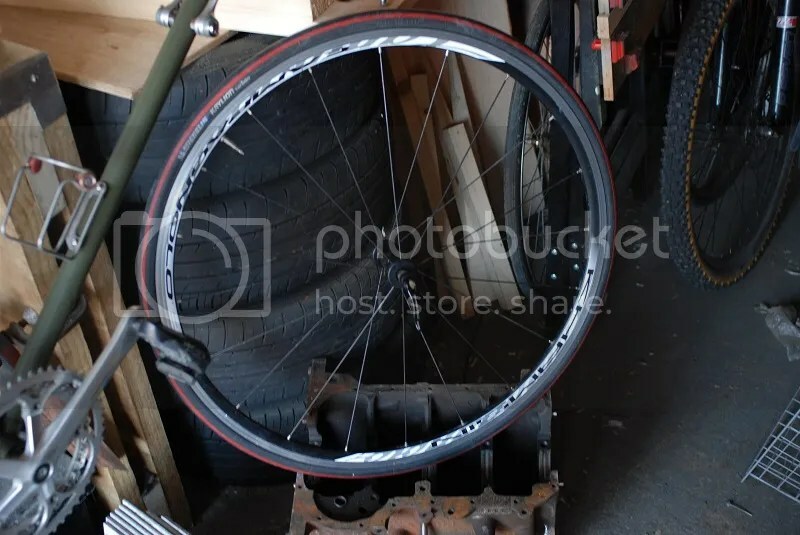 One of the sellers I follow, who is fairly local, and often has nice bike parts listed from house clearances, just happened to list a few 700C wheelsets. 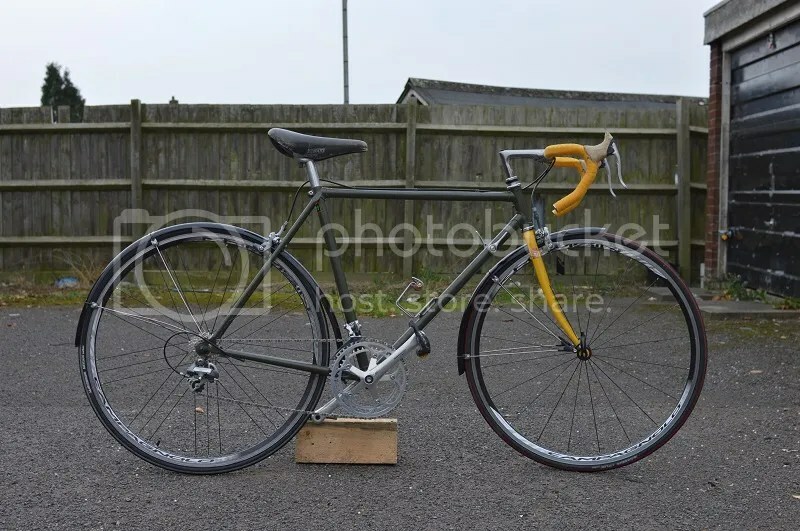 I ended up winning the Campagnolo set for just over £20 and also a “back up” Alexrims set for £10. Both wheel sets are in great condition but the Campag are the nicer of the two. They’ve been wrapped in some Michelin Krylion Carbon tyres, which again, were a pretty good buy at £25 for a pair! Headset: I actually still have the old headset but it seems to be missing some parts. After having a look around I went for a Tange headset. It was reasonably priced (at £15) and looks to be a good quality bit of kit. It was easy to fit but here’s were I’ve run into a problem. Numpty here didn’t bother to check the thread length on the forks when buying them and they’re 10mm or so too short! I was all set to get the bike on the road last weekend but this has really thrown a spanner in the works. I’m currently looking for somewhere to add some more thread (I’ve tried Mercian but they haven’t replied yet…) but if worst comes to worst, I’ve found the correct size die on eBay and I’ll attempt to do it myself. I’m kicking myself at this rookie error. Everything else is ready to go! I don’t know when I’ll get this finished off but looking at what I’ve achieved – I will see it through. From a £10 scrapper to a beautiful commuter. For what I’ve spent I could have just bought a brand new bike (all be it a cheap one) but where’s the fun in that?! 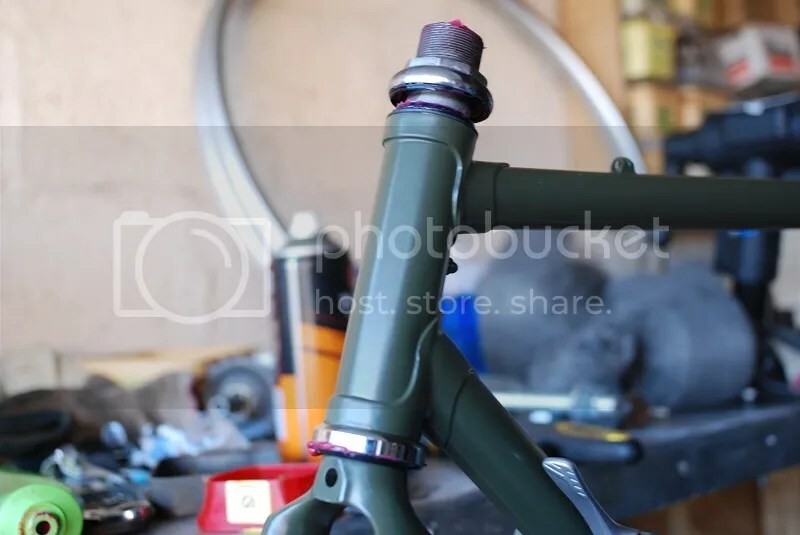 Keep an eye out for the finished bike. Hopefully it won’t be a long wait.